Thank goodness for Tom, Muz, and Pacifist and the Edu Productions team! 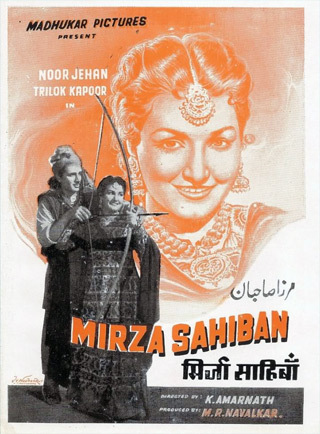 They have just made available two more Noor Jehan films, one a Pakistani film from 1959 called Koel; and 1947’s Mirza Sahiban starring Noor Jehan and Trilok Kapoor (fun to see him in a hero role, na?). Karan Bali over at Upperstall has reviewed Koel (link is included in listing) and although he feels it is a less than stellar movie the songs are worth the price (which by the way is FREE). Pacifist’s opinion of Mirza Sahiban is that it’s a much better film than the later Shammi Kapoor outing by the same name, which is actually not that hard but makes me look forward to seeing it. Download them from the links on the Edu Productions page, enjoy, and give props to the team for their hard work and generosity! Some of you have been agitating (ever so gently, though, and I don’t mind) about my silence over here. Luckily Tom and his army of subtitlers which now includes our much-loved regular Pacifist have not been nearly as lazy. I am pleased to announce that there are updates to the Edu Productions page with two four new movies available for download, with subtitles. They are two early Pakistani Noor Jehan films (1952’s Dupatta and 1958’s Choo Mantar). I have included a link to Richard’s review of Dupatta over at his blog, Dances On The Footpaths so check that out too. And Tom has put the songs and dances on his YouTube channel as always. I have just added 1943’s Kismet and a rare one called Karigar (1958) starring Ashok Kumar and Lalita Pawar. Tom has done his usual stellar job on the sometimes problematic video quality and these are very hard to find films, especially with subtitles. Many many thanks to Pacifist for joining the team and doing such a great job subtitling! The quality of her work is outstanding, and it is not an easy thing to do to capture the nuances of disparate languages elegantly. 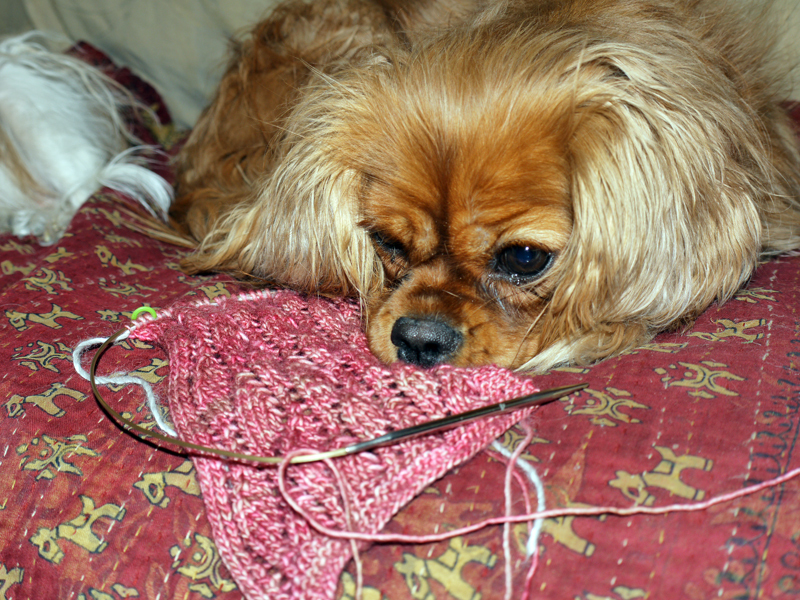 As for me, I have spent the winter focusing on another long-time hobby which conflicts with my movie-watching one: knitting. I am not a good enough knitter to read subtitles at the same time as I knit (although I have always been very pleased by how much knitting goes on in Hindi movies!). If you are interested, you can see some of my recent projects (with Gilda’s “help”) here, here, here, here, and here. If you aren’t, I don’t blame you and I hope to be back discussing fillums here very soon when the flowers start coming out again and it’s too warm to be sitting under a cloud of wool yarn!